Built specifically for rifles chambered for the .308 Winchester round, Nikon P-308 riflescopes integrate reticle technology developed for long range shooting with this cartridge. Multiple layers of anti-reflective compounds on every glass surface provide bright, vivid sight pictures and optimum light transmission from dawn to dusk. Engineered to simplify longer range shooting with the .308 Winchester round. All reticles can also be optimized for virtually any cartridge and load using Spot On Ballistic Match Technology. Hand-turn windage and elevation knobs can be reset to “zero” after sighting-in for easy reference when making field adjustments. 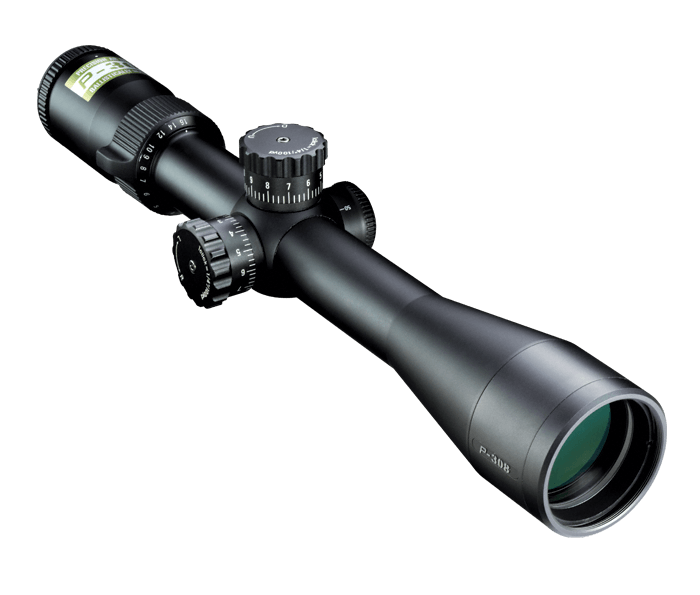 The P-308, like all of Nikon’s riflescopes, is optimized for use with Nikon Spot On™ Ballistic Match Technology. Spot On allows you to discover all of the exact aiming points on your scope’s reticle at various yardages for your specific ammunition and load. Nikon riflescopes are covered by Nikon's Limited Lifetime Warranty. If any Nikon riflescope is found to have defects in workmanship or materials, we will, at our option, repair or replace it at no charge. Nikon is dedicated to quality, performance and total customer satisfaction. If your Nikon Binocular, Riflescope, or Fieldscope requires service or repair not covered by our Limited Lifetime Warranty, just send it to us and Nikon will repair or replace it. * Excludes products with electric components, lost or stolen products and intentionally caused damage.